What is all this MEES about – and are landlords ready? Over 400,000 properties currently fail to meet energy performance standards. Landlords need to take swift action if they wish to stay within the law. The 2015 Energy Efficiency Regulations were passed in March 2015. 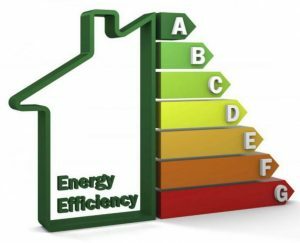 They set out the minimum energy efficiency standards for England and Wales. These regulations make it unlawful for landlords to let out a property which has a rating of ‘E’ or below from 1st April 2018, unless the property is registered as an exemption. Careful planning is required as a breach of the regulations would lead to prosecution by the local authorities and a civil penalty imposed of up to £4,000. Some properties will require quick fixes or tweaks, while others will need substantial works. Good landlords, however, have been responding to tenants requiring better insulated houses for quite some time. In 2012, there were around 700,000 houses rated ‘F’ or ‘G’. There are fewer than half those numbers now. The message to all landlords is: “If you haven’t upgraded your lease property – act quickly”. Read more in the government Guidance for landlords and Local Authorities.